Imagine planning a trip to Bali to experience its famous scenic beaches, undulating hills filled with coconut palms and fruit trees, coral reefs, rock formations and ancient temples and ending up with plastic strewn beaches, garbage filled waters and sea devoid of any marine life. Indonesia’s Bali, which attracts five million tourists every year, is dependent on tourism for 80 per cent of its economy. But, massive plastic pollution on its beaches threatens this picture. The island’s lovely beaches are often found covered in huge amounts of plastic and other garbage that the high tides angrily throw back. The water too is no more as clear as it used to be. According to Rivers, Oceans, Lakes and Ecology Foundation, an NGO based in Bali, Indonesia produces about 130,000 tonnes of plastic and solid waste every day. Tourists at water sport resorts, who paid in US dollars to hire a glass bottom boat to see marine life in all its beauty, told the author that they did not spot even one fish as the water was immensely polluted. Last month, a 30-foot sperm whale had washed ashore in eastern Indonesia, off Kapota Island in the Wakatobi National Park. It had six kilos of plastic waste and trash in its stomach. This included 115 drinking cups, plastic bottles, two flip-flops and 1,000 pieces of string. Sperm whales can dive as deep as 3,280 feet into the sea in search of food. They can hold their breath for nearly 90 minutes. Elsewhere, sharks have been found to be ingesting plastic as they search for fish and squids floating around with the waste. This is reason to worry as sharks come under the Endangered Species Act. In June this year, a pilot whale was found in Songkhla province near the Malaysian border that had 85 plastic bags and other trash in its stomach weighing eight kilos. Environmentalists have expressed fear that more such sea creatures would die if they take in such vast amounts of plastic. Today, tourism is the single largest industry in Bali. “We cannot afford to lose tourists as our livelihoods depend on it. If Bali is one of Indonesia's wealthiest regions, it is because of tourism. If the water in the oceans gets worse, it will seriously affect the fishing industry also provides jobs,” says Debon, a tourist guide at the island. In a survey conducted there in 2011, 952 species of reef fish were discovered. Eight of them were new. Bali has been known for its rich biodiversity and now all of it is under serious threat. Although attempts are being made to clean up the beaches and educate people about the need to curb plastic usage and ensure proper disposal. Trash Hero Indonesia, an NGO, which has 38 chapters in the country, has 14 of them working in Bali. Volunteers have helped collect more than 15,000 kilos of trash in a year. In 2016, Indonesia used more than 9.8 million plastic bags. As most of it finds its way into the ocean, Indonesia wants to cut its plastic consumption and waste. It is also looking at production of bio plastics made of biodegradable materials like seaweed which is there in plenty. Last year, Bali declared a "garbage emergency". Using 700 cleaners it collected nearly 100 tonnes of rubbish on its beaches. This is not just the stuff that Bali throws away but the garbage thrown in by other islands in Indonesia and nearby countries. 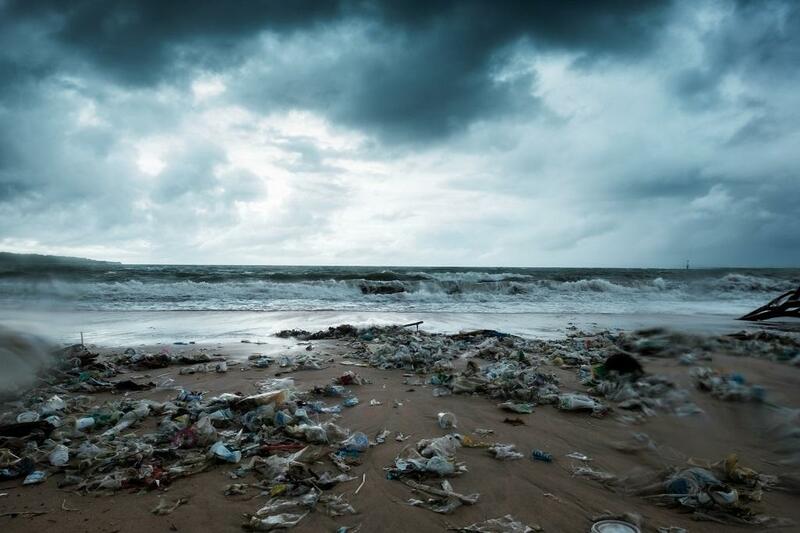 China heads the list of the 20 worst polluters of plastic waste thrown into the ocean. Indonesia, with a population of just 236 million, is number two. Estimates suggest that nearly 10 per cent of the plastic waste in the world comes from Indonesia alone. According to a study by the Jambeck Research Group, College of Engineering, University of Georgia, around 8.5 million tonnes of plastic waste is annually dumped into the oceans by 192 coastal countries. Data collected from 60 Indian cities shows that around 25,940 tonnes of plastic waste is generated every day, according to the Central Pollution Control Board. The major polluters of plastic waste in the sea are China, Indonesia, Thailand and Malaysia. There are efforts on to save Bali as it threatens livelihood of thousands of people there if its natural beauty that attracts tourists collapses. Maybe, that is the only hope. Ramesh Menon is a Delhi-based author, journalist and documentary film maker. He got the Ramnath Goenka Award for Excellence in Journalism for writing on pesticide poisoning in India.